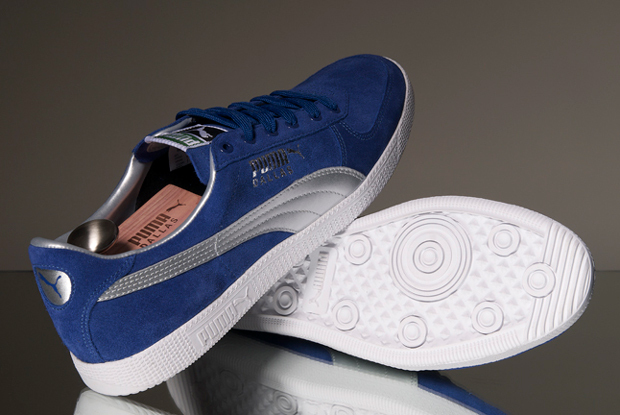 Puma have dug deep into the depths of their dusty archive and pulled out a gem of a shoe; the Dallas. Originally released back in the 80’s, the Dallas was one of the most popular basketball shoes, especially with the b-boy kids. 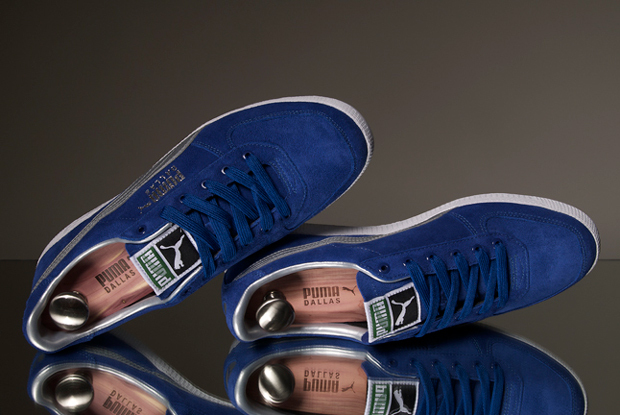 It’s only real rival was the infamous Suede, but other than that the Dallas was one of the most highly held Puma’s. Because of this, it’s great to see the Dallas make a much welcomed return to the sneaker shelves and hopefully people’s collections. As far as I can tell, Puma have re-released this classic in near perfect representation of the OG model, which is a rare happening these days! As expected, the colour-way is spot on, but the surprising bit is that I can’t see a noticeable difference in detail between the OG and re-release. I’ve got a pic of the OG in front of me and it just looks like an abused pair of the above. These OG badboys are available exclusively at Hanon and Size? 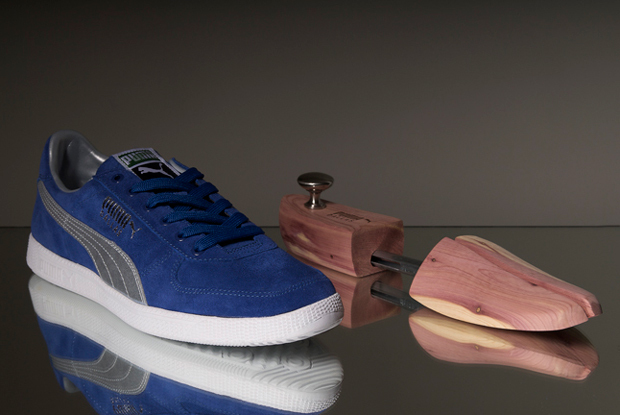 and come with a limited edition Cedar shoe tree to keep your kicks fresh. All this, and they are only £55 a pair! My guess is that these are gonna fly off shelves. This is a great example of what sneaker companies should be doing. Puma haven’t messed with the original design, they’ve kept the attention on detail and high quality with the addition of the shoe trees, and they are very reasonably priced. Good job Puma. I should really get a pair to rep my hometown. Having the shoe tree come as part of the shoe is brilliant. And yes the price point is spot on. Quality. I wonder how they’d look with fat white laces…….